We do custom. It doesn’t hurt to know about other people’s choices though. It happens. Sometimes our partners, suppliers, vendors and/or colleagues are so happy with us, they offer freebies and discounts as a token of appreciation. We simply pass on the love. You will find the currently discounted tours here. Experience perfected the skill of satisfying customers. 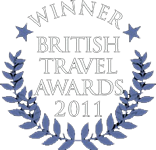 All partners we work with are award winning in their own categories. From payment to execution and delivery of service: we’re insured.